The start of a new school year is tough on everyone, especially the teacher. I know, I was one for over 10 years. The stress of a new school year often brought me to tears. I was excited to welcome new students, but the stress of getting the classroom ready and getting my own kids ready for school to start was intense. I started finding ways to relax at home and fragrance played a big part of that. My living room became my retreat where I would go to relax and unwind. After a long day at school, I would come home and spend time with my family. After putting them to bed, I would grab a beverage, a book, and light a candle to unwind. My living room became a sanctuary for me. It became a safe place where I could evaluate my day and get ready for the next one. Since I work from home now, my sanctuary has changed from the living room to my office, but I still fill my area with a fragrance I love. It helps keeps me focused and motivated throughout the day. With this in mind, I decided that my kids’ teachers needed a little something to help keep them relaxed during the hustle and bustle of the new school year. 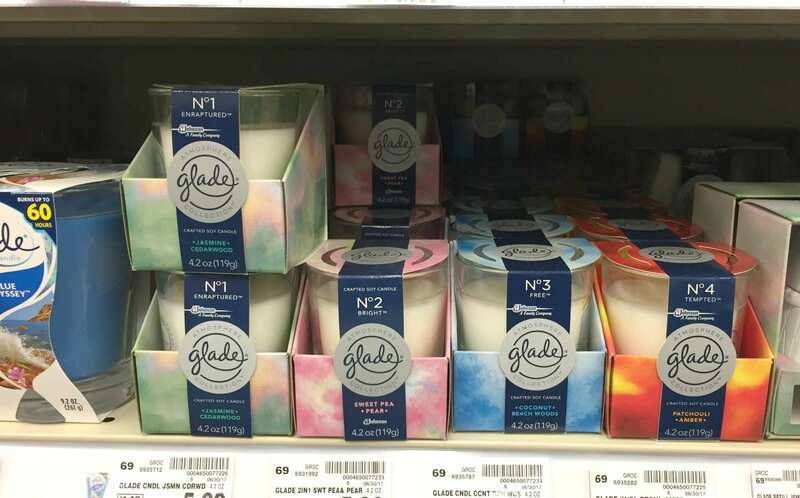 I turned to The Atmosphere Collection™ Fine Home Fragrance by Glade®. The Atmosphere Collection™ consists of four artisanal scents; N°1 Enraptured™ – Jasmine and Cedarwood, N°2 Bright™ – Sweet Pea and Pear, N°3 Free™ – Coconut and Beach Woods, and N°4 Tempted™ – Patchouli and Amber. This special line of products is crafted and layered with ingredients by world-renown fragrance designer Ann Gottlieb. My daughter and I headed to Kroger to check them all out and to pick out a couple that we thought would be nice for the kids’ teachers. We found them in the air care aisle. We were able to smell all four scents and picked out two soothing fragrances that we thought fit our teacher’s personalities best. 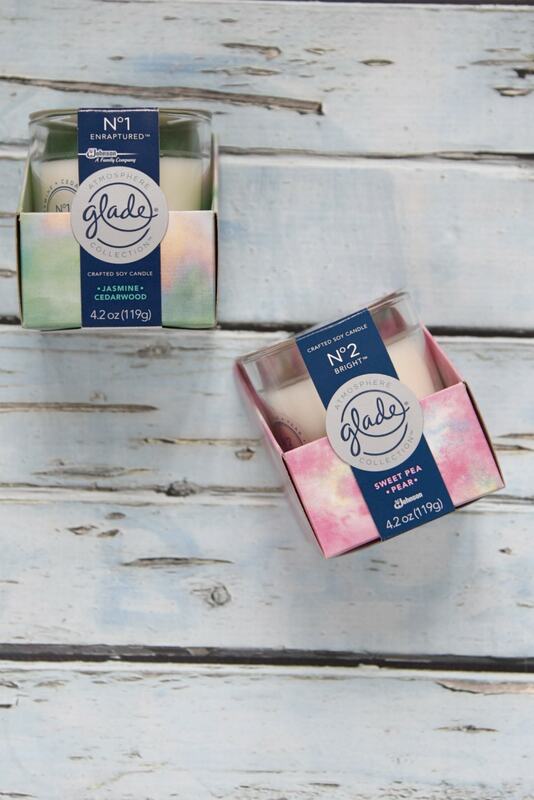 We settled for the N°1 Enraptured™ – Jasmine and Cedarwood for my son’s teacher which has the essence of Jasmine, lady apples, sweetheart rose petals on a base of cedarwood because it reminded us of magic just like a third-grade teacher! We also picked up N°2 Bright™ – Sweet Pea and Pear for my daughter’s kindergarten teacher which boasts a playful scent of sun warmed pears and sweet pea flowers, it feels like innocence just like kindergarten! 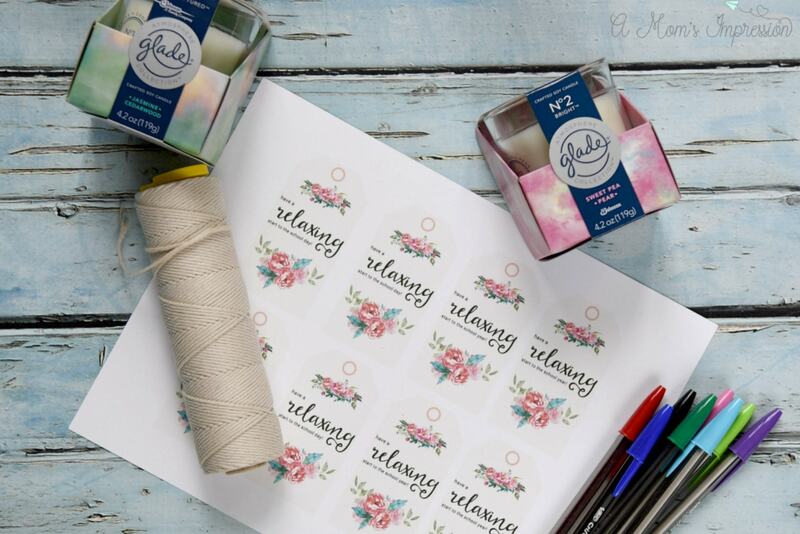 Next, I created some adorable printable tags to attach to the candle boxes to make our gift a little extra special. Click here to print them out for yourself! I wrapped some kitchen twine to the outside of the packaging and secured in the back with a couple of pieces of clear tape. 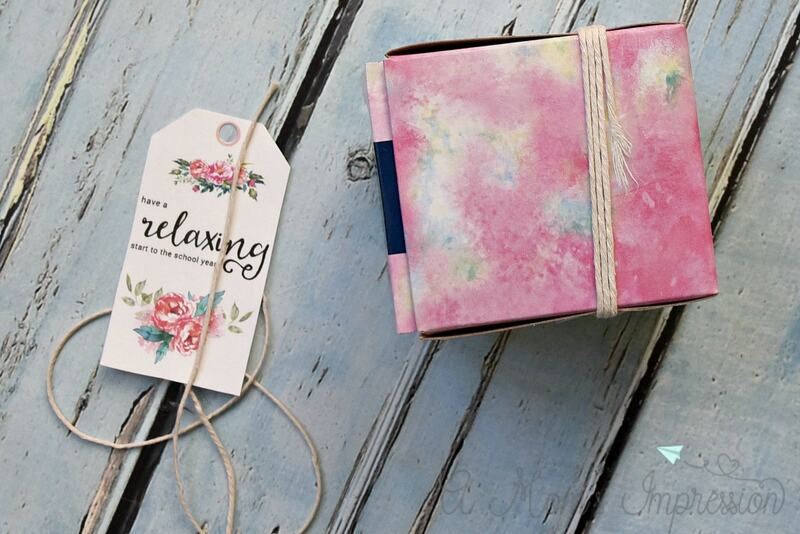 Finally, I added the tag to the package and a few fun colorful pens to make this an extra special little beginning of the year surprise for the teachers. 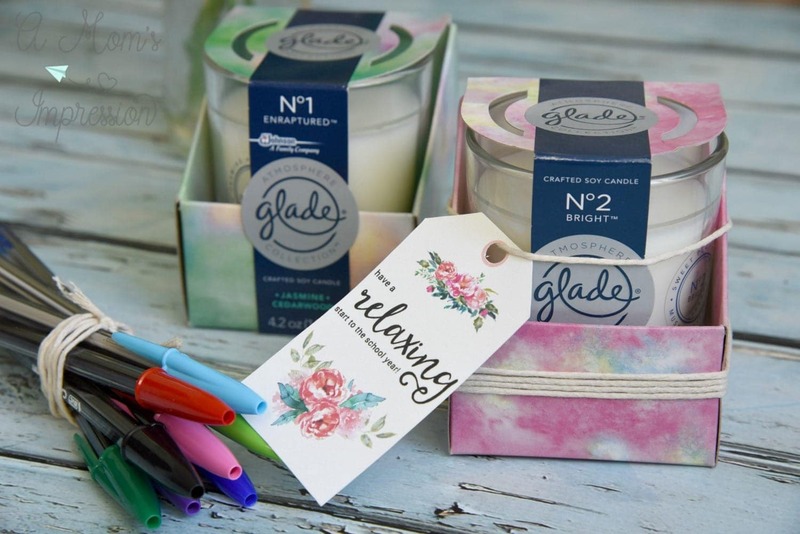 Now is the time to stock up and save on the Glade® Atmosphere Collection™ at Kroger. 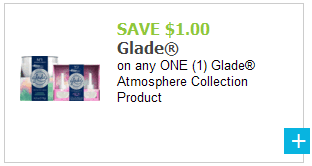 Save $1.00 when you buy any ONE (1) Glade® Atmosphere Collection™ Product. Valid 8/13 – 8/26. That is huge savings! 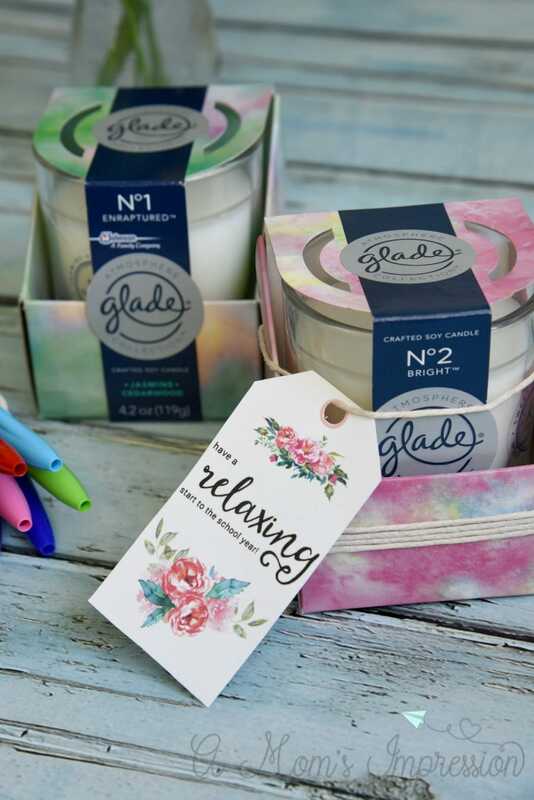 For more inspiration for the Glade® Atmosphere Collection™ be sure to check out this great resource.